UFO SIGHTINGS DAILY: Woman Gets Photo Of UFO That Cuts Hole In Cloud Over Istanbul, Turkey, Men Deny it, Feb 16, 2016, UFO Sighting News. Woman Gets Photo Of UFO That Cuts Hole In Cloud Over Istanbul, Turkey, Men Deny it, Feb 16, 2016, UFO Sighting News. This UFO was recorded by a womans organization in Intanbul this week during a sky festival. When a local university professor of the city came to investigate (male) he deemed the woman idiots by denouncing the existence of UFOs. Now it sounds like this was done more because they were women than anything else. Here is the photo. 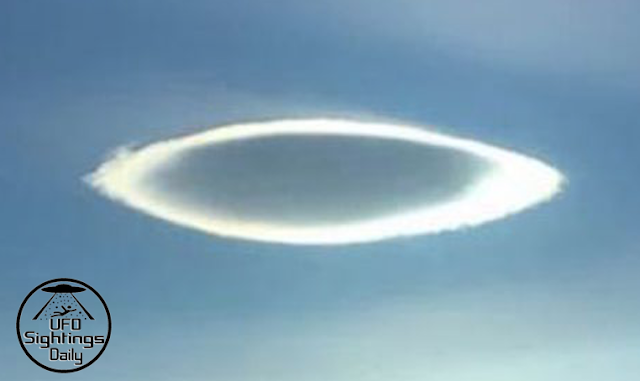 It does look like a UFO that is cloaked in the cloud, and its propulsion made a ring around it that allows light to penetrate. There is an old 90 page MUFON report about the O'Hare UFO reported that eyewitnesses saw the UFO shoot diagonally through the clouds as it left, cutting holes in the clouds above it that were visible 15 minutes after the UFO left. 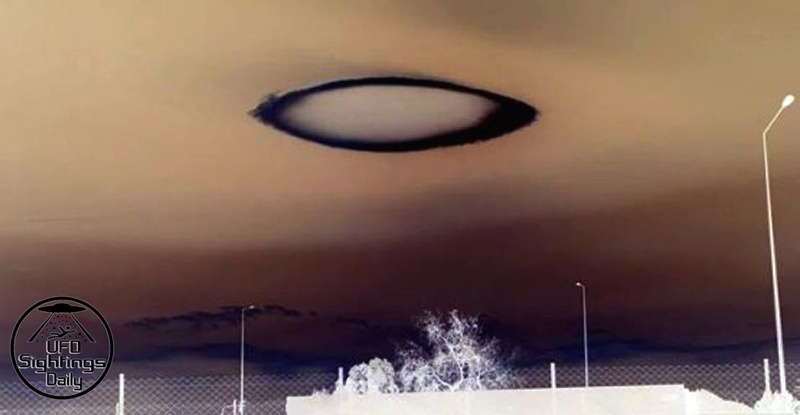 UFOs make holes in clouds! 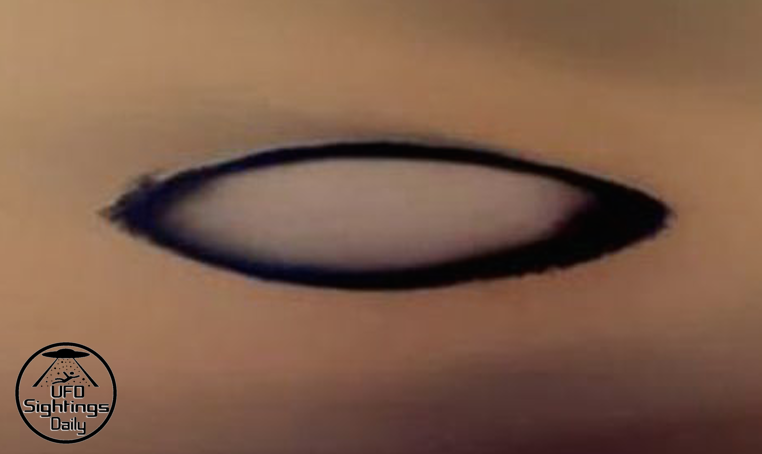 This photo today is a similar example, but the UFO is still in the middle. 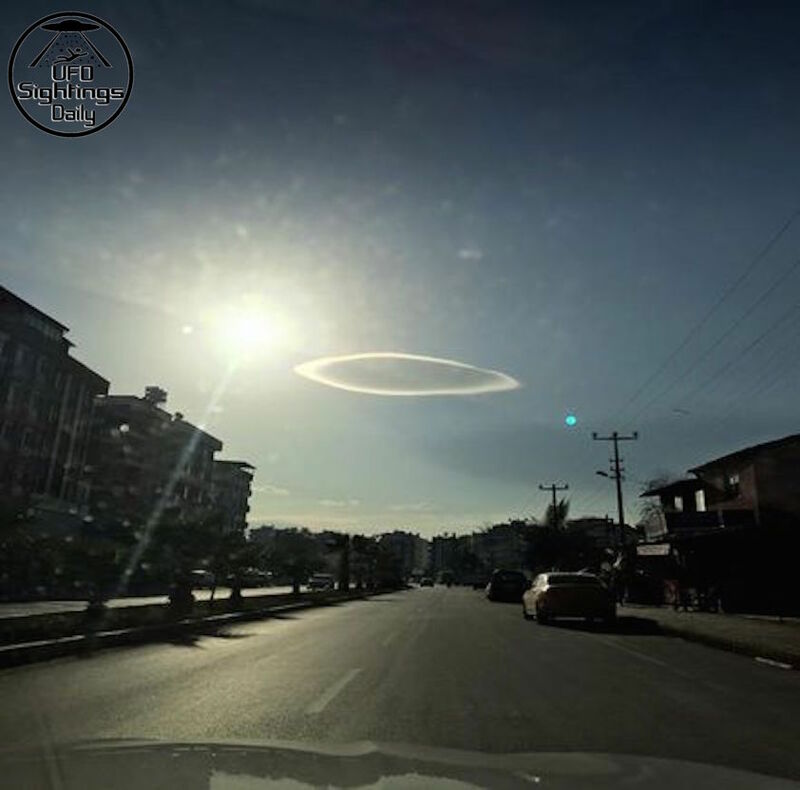 Antalya who was witness to a very interesting event that was mysterious and in the sky this morning. 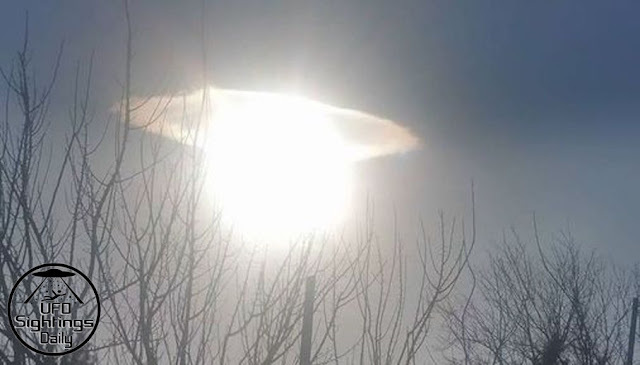 A UFO-like object was in the air. She had a rather tense moment of calmness as Antalya watched with her camera. The object appeared in the sky and, she suspected that it was a UFO. Here's the details... Those who saw the photos made different interpretations. Interesting clouds mostly unidentified object in the sky (UFOs) benzetilirk, the most interesting was the following comment: "North Korean leader Kim Jong-Un's atomic bomb test." 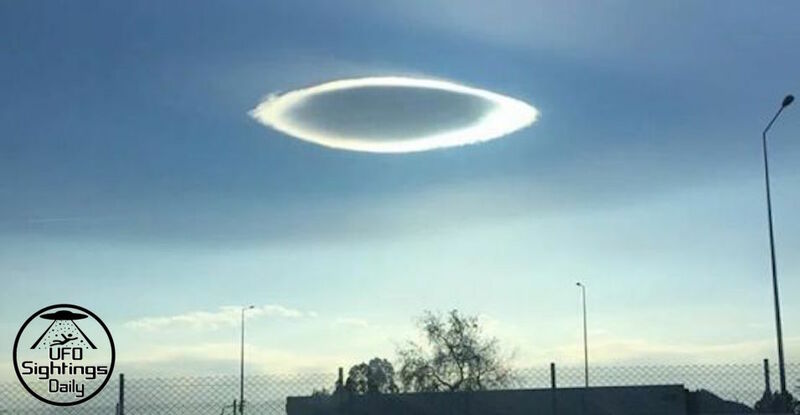 How the cloud UFO came to exist, some say "a mysterious ring" or "UFO watching innocent villagers" were made in the comments. "Unmanned aerial vehicle (UAV) left the trail" was also stated. Interestingly, many of the cities locally recorded the UFO from different view points. City Council Women's Assembly organized by the Cultural Center İspirtohane "Sky Festival" spoke to Kültür University Faculty of Science, Head of the Department of Physics Professor Dr. Dursun Kocer, UFOs, astrology, fortune telling are a lie and they are ridiculous. (More at source).